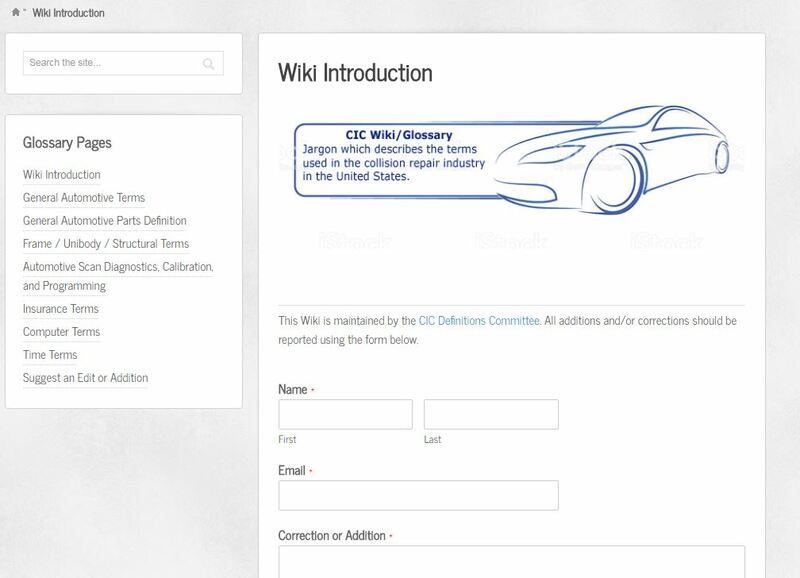 The Collision Industry Conference Definitions Committee has officially replaced a 20-year-old static glossary with a dynamic, 21st Century wiki. A wiki is a shared document which can be edited by any user, the most famous example of which being Wikipedia. 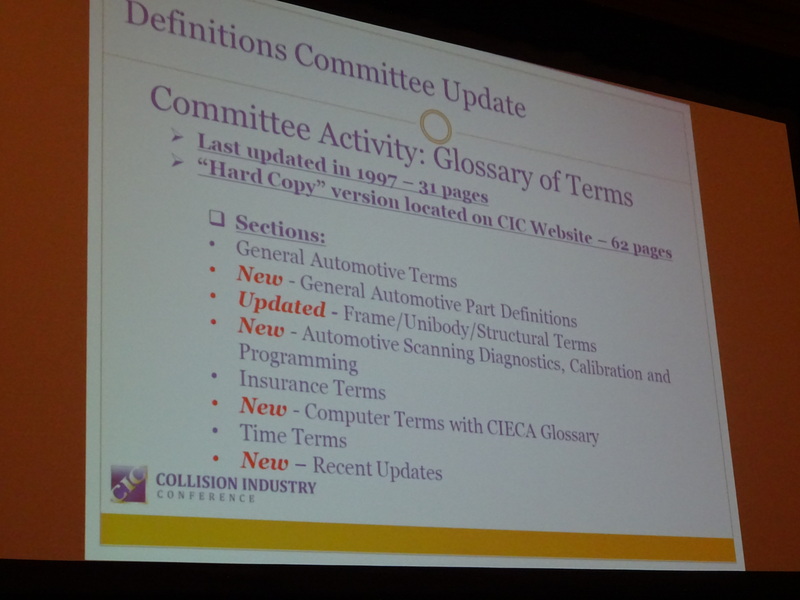 In this case, anyone in the entire collision repair ecosystem served by CIC — repairers, insurers, OEMs, suppliers and others — can submit alterations or additions to a glossary of collision-related terms under ground rules voted upon by the audience Thursday. If you have a term you’d like to see added, “it’s your opportunity to do so,” Committee Co-Chair Chris Evans (State Farm) said. 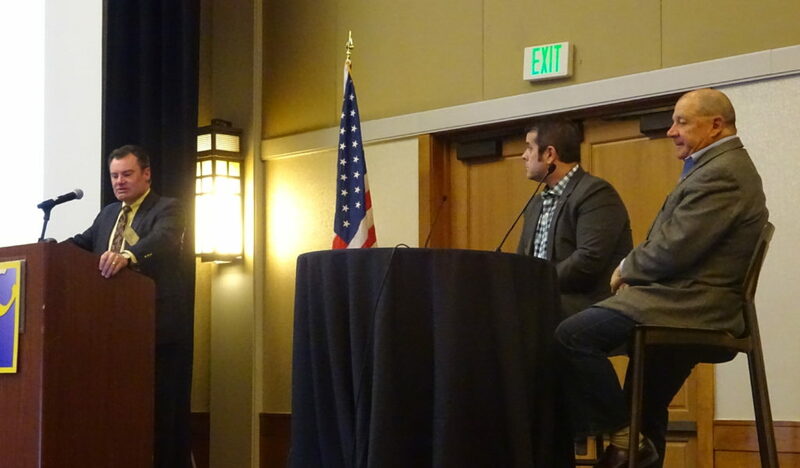 The ability of users to provide feedback was “probably the key point and takeaway,” he said Thursday, mentioning at one point that AirPro business development Senior Vice President Michael Quinn was the site’s first contributor. “Look at it from that perspective,” he said. Unlike other wikis, notably Wikipedia, the proposed changes won’t take effect immediately or automatically. Subject matter experts will evaluate the proposals and update the terms accordingly under a time frame hashed out at CIC Thursday. “There will be a vetting process” Evans said. Submitted changes will be reviewed and rejected or approved no later than quarterly, the dozens of voters in the audience decided, which Evans said was the sentiment of his all-volunteer committee as well. Society of Collision Repair Specialists Executive Director Aaron Schulenburg said he feared a situation where a definition alteration went live immediately and gave legitimacy to misinformation, citing an Indiana legislature hearing where an insurer lobbyist proclaimed “industry standards” an appropriate way to fix a vehicle. However, it sounds like the submitter won’t be left sitting around wondering about the fate of their request during those three months a change might be under review. 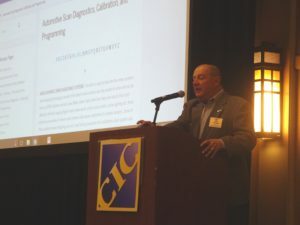 Collision Industry Electronic Commerce Association Executive Director Fred Iantorno suggested users could receive feedback in the form of having their revision housed on an in-review tab until an action was ultimately taken. “Then you would see it from there,” he said. Features draw interest, and interest draws features, according to Iantorno. “There’s a lot of things we can do,” he said. The CIC audience also supported the notion of having some oversight over the changes approved by the committee. The majority of the dozens who voted Thursday felt the audience should be told of the changes at the quarterly CIC meeting, but not required to approve each one, a decision that Evans said mirrored the committee’s thinking.